The Line Hotels are a wonder for sore eyes. Its unique interior design is inspired by the neighborhoods they are placed in and because of that, they become a mark in its wonder. One of the aspects we’re focusing today is the lighting. The unique floor lamp design used in this hotel chain will get you inspired, no doubt about that. Keep scrolling and find out! Currently, The Line hotels are located in Los Angeles, Washington DC, and Austin. Located in a mid-century building the Line hotels offer the utmost comfort to their guests. The bedroom offers a sense of luxury with comfort in between and the amazing view that brings its a delight. 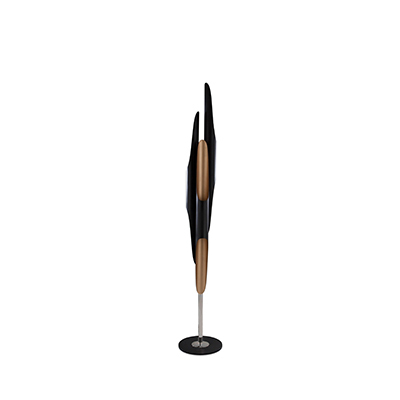 This floor lamp works in these rooms because it brings a delightfulness to the room and taking the view into account. With a unique design, it will only give the bedroom the peacefulness it presents. This hotel interior design is from another The Line hotel and as you can see, it brings a retro feeling to it. 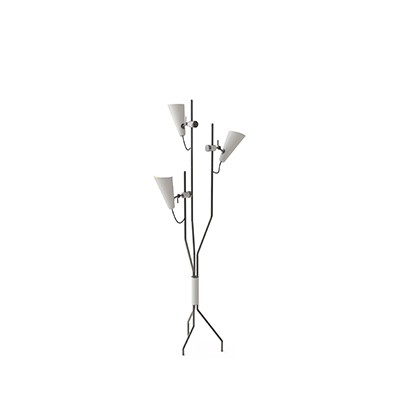 As another important aspect to give this retro vibe to the bedroom is the floor lamp. With an individual style to it, it only adds class to it. All the lighting design in this hotel decor was thought out. Between pendant lights and floor lamps, they all give an amazing taste to the hotel in itself. With a laid-back and minimalist interior, The Line Hotel in Koreatown is a relaxed and welcoming space. With a Commissary Restaurant in the Los Angeles Hotel, with a view to the hotel’s swimming pool this unique wine and dine restaurant is housed in a picturesque greenhouse. You Might Also Like: Living Room Lighting Designs You’ll Want to Buy Now!